The Discover Navan Fort app features presenter-led video clips that explore the archaeological and mythological history of this important prehistoric site. Navan Fort contains evidence of occupation from the Neolithic Age right up to Early Christian period. It has been identified as Emain Macha, the legendary capital of Ulster, celebrated in the heroic tales of the Ulster Cycle. This app provides visitors with a bilingual personal guided tour to Navan Fort’s impressive heritage using GPS and presenter-led video clips. The app can be used at Navan Fort, Co. Armagh or elsewhere. 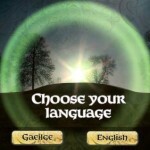 Videos are available in English and Irish, select your preferred language using the buttons. If you are visiting Navan Fort, make sure your location services/GPS is switched on. Select ‘yes’ to ‘Are you at Navan Fort?’ and GPS will automatically trigger the video relating to your location. Otherwise, select ‘no’ and video can be triggered by using the on screen map and clicking the markers. 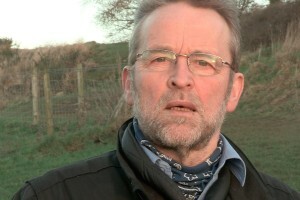 Your guide Cormac Ó hAdhmaill will welcome you and recount the story of Navan Fort.As you walk around the fort, GPS will trigger explanatory video relating to your location. Information points are marked on the map. 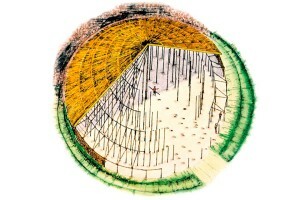 Maps, aerial photographs, re-enactments and reconstructions are used to explore different aspects of Navan Fort’s heritage. 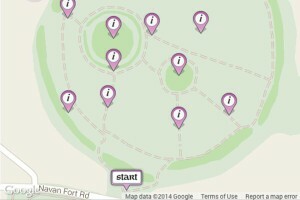 If at Navan Fort, use the map to find the information points, GPS will trigger the video. For off-location use you can explore the site by using the onscreen map. Click on the markers to watch each video. The app is one of two produced as part of the Navan Fort Heritage projects which saw Digital Key working with Macha Media and Caidre Teo to produce interpretive resources for Navan Fort in Armagh. Discover the history of Navan Fort with your guide Cormac Ó hAdhmaill. This app provides an engaging, video tour of Navan Fort, one of Ireland’s most important historical locations. 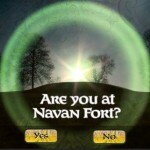 The app can be enjoyed anywhere but it is best experienced at Navan Fort which is situated 2 miles outside Armagh City.